Robots can do the Heavy Lifting! 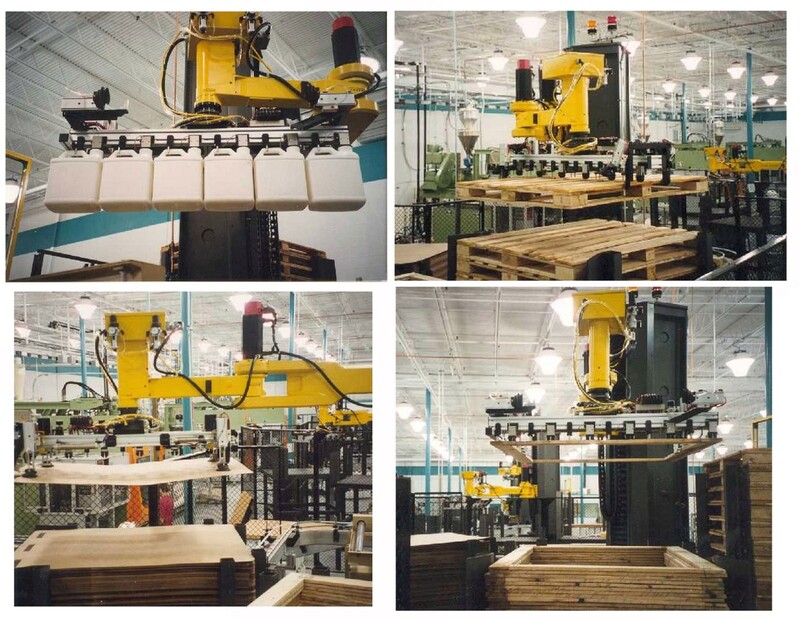 Before these Yellow pages can be delivered, we helped send them on their way using this large palletizing Robots to “Stack and Pack” them. 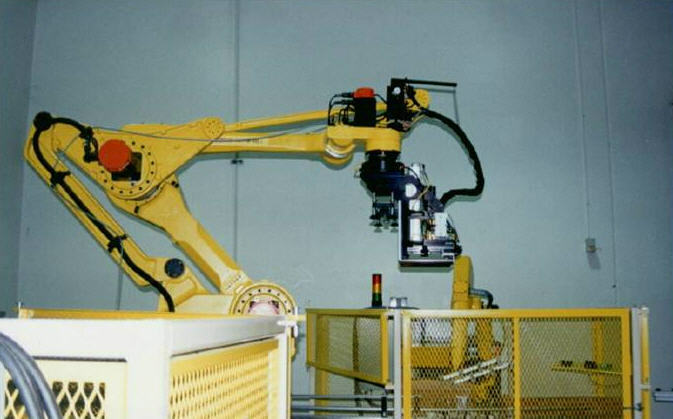 Multi purpose end of arm tooling was created for this high volume plastic bottle manufacturer. The tooling picks and places bottles, handles pallets, frames and even places the slip sheet in between layers of finished goods!